Published: Sep 29, 2016 to ? The slapstick comedy manga will center on Nagumo, a penniless college student who moves to a town filled with bizarre people. City has been published in English by Vertical Inc. since March 27, 2018. Nichijou is one of my favorite manga, as well as my all-time favorite anime, so I have to say it was a tough day for me when I finished all the Nichijou content I could find. 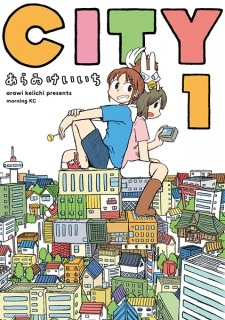 Luckily, I managed to stumble across Arawi's newer work, CITY, and it has easily carried on Nichijou's legacy. The absurd situations, ridiculous characters, and million-miles-a-second pacing of Nichijou are all present in CITY, and it all feels fresh thanks to the new setting. The characters themselves are refreshingly different too; instead of following what could have been a rehash of Yuuko/Mio/Mai and Hakase/Nano for the mains, we instead get a whole new cast of interesting and goofy characters than all interact with each other in different ways. The setups are weird, the plot makes no sense, and the reactions are hilarious. 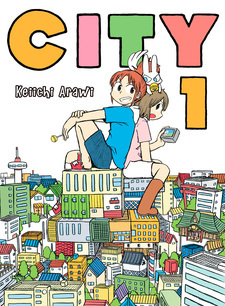 This is the kind of manga Arawi excels at writing, and I recommend CITY to anyone who loves Nichijou or ridiculous comedy in general.